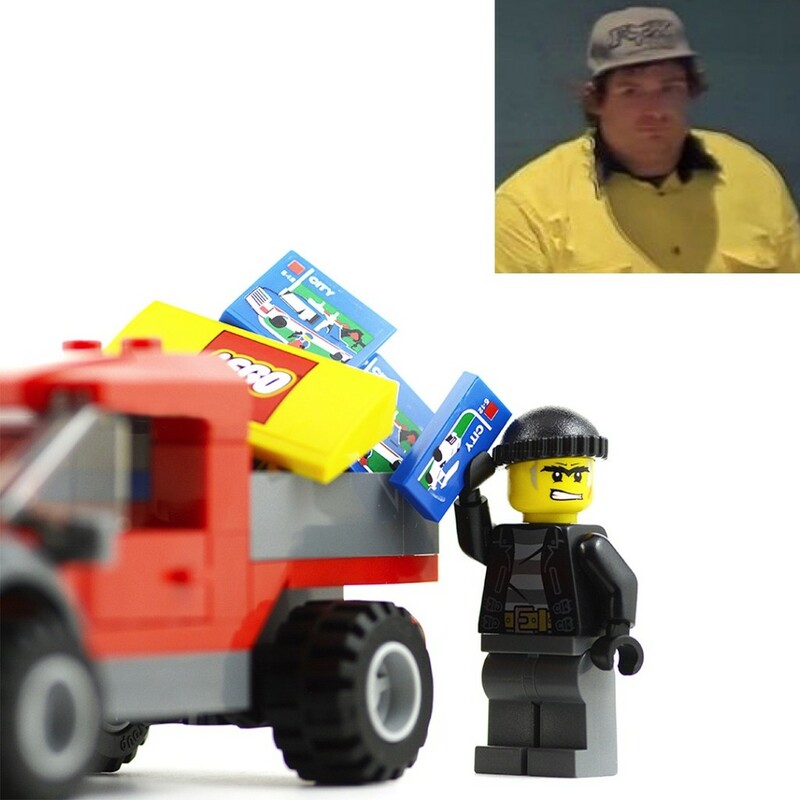 The guy that’s been stealing Lego from several independent stores in Melbourne’s East. Police say they wish to speak with a man captured on CCTV, in relation to a series of ram raids and Lego thefts. It’s reported that the person responsible managed to break into a Wantirna store and steal 2 trolleys’ worth of Lego, and is suspected of having carried out a ram raid at a Bentleigh East store and a failed robbery attempt at a store in Cranbourne. Police believe the pictured man may be able to assist in their enquiries.